Last week, Google debuted YouTube TV, its 40-channel, $35 a month streaming video service designed to appeal to a younger audience that has increasingly decided to forgo traditional pay-TV. And while the service has plenty of millennial-friendly features — like the ability to start a show on a television set and finish on a smartphone — it has one major, 90-foot gap in its quest to be the cable replacement of choice for Gens Y and Z: the NBA. 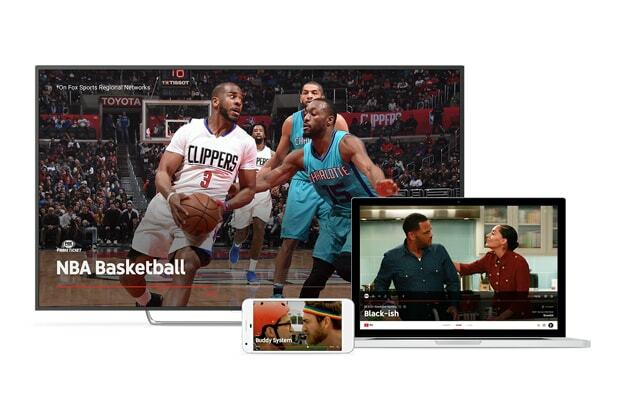 YouTube TV is built around deals with the four major broadcast networks — ABC, CBS, NBC and Fox — and their affiliates, such as ABC’s ESPN, NBCUniversal’s Bravo and Fox’s FX. But it doesn’t (yet) carry Time Warner’s or Viacom’s cable channels, including Time Warner’s TNT — home to many marquee NBA regular season and playoff games. The service is also missing NBA-owned and Turner-operated NBA TV. YouTube Chief Business Officer Robert Kyncl touted YouTube TV’s sports offerings at a press event introducing the service, saying it covers 80 percent of live sports broadcast in the U.S. between its broadcast partners, ESPN channels and regional sports networks — and prominently displaying NBA content in its press materials. But that doesn’t matter when five out of seven nights of the NBA’s first two rounds of playoff games and the entire Eastern Conference Finals air only on TNT. That’s true — younger viewers can’t fathom having to plan their days to catch a TV show that only airs once at a set time and having to be home to see it — but they also want to watch pro basketball. Today’s teens and young adults don’t really want their MTV. They want their NBA. Unlike several other sports, whose average viewer age has risen as younger generations have stopped watching and/or cut the cord, the NBA has held onto its youthful audience. The NFL’s average viewer age rose from 43 to 47 between 2004 and 2014, while Major League Baseball’s jumped from 46 to 53. That trend appears to be worsening as cord-cutting accelerates — the median age of the 2015 World Series between the New York Mets and Kansas City Royals was 54.6 years. Meanwhile, the NBA has held steady, reporting an average age of 37 in 2004 and 2014. And while the NFL just came off a season marred by lower ratings, the NBA is doubling down on its future fans and ticket buyers. The league was an early mover in terms of putting its highlights online and the official NBA YouTube channel now has nearly 7.5 million subscribers. The NBA has even considered shortening the often drawn-out ends of games to cater to millennials’ (perceived) shorter attention spans. At the same time, Viacom, the home of MTV and Comedy Central that was once at the cutting edge of high school and college-age tastes, is now no longer a requirement to draw younger eyeballs. MTV has not been particularly relevant in a while, and while Trevor Noah is growing into his job on the “Daily Show,” Comedy Central has lost plenty of luster with Jon Stewart and Stephen Colbert decamping for retirement and CBS, respectively. Old-line CBS may actually be more enticing to younger cord-cutters, as it at least has the NFL. That’s a much bigger draw than “Teen Mom 2,” which MTV is running throughout prime time Monday. YouTube has built its TV product around millennial-friendly features, from an app-based customer service portal (because really who wants to talk on the phone?) 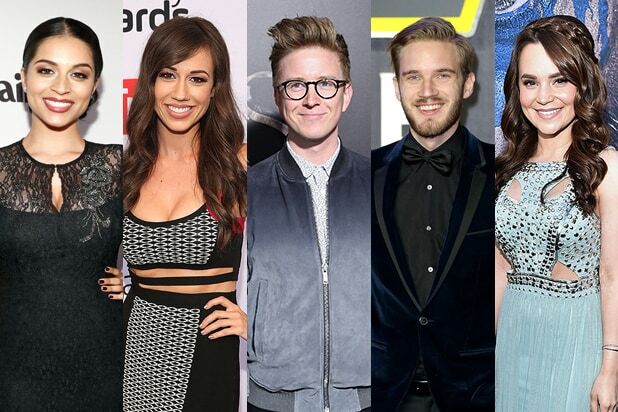 to YouTube Red originals, which feature some of the platform’s most popular personalities, and are included with a YouTube TV subscription. In a world where 15-year-olds can’t be bothered to watch MTV, leveraging YouTube personalities is a good way to lure millennial subscribers. But banking on NBA stars like LeBron James and Stephen Curry might be even better.